Have you read the first part of my diary as an investment specialist? Take a look before reading on. What are your plans for the afternoon, Andy? I’ll be popping down to see the sales team. I try to do this once or twice every day to see how things are going. I believe that face to face contact is incredibly important and we’ve become too reliant on email and telephone! It allows me to address any questions the sales team have for me, there and then. I also spend a lot of time with the portfolio managers themselves, as I cover over 20 strategies across the desk. It’s important to keep abreast of what they are doing with their portfolios and what their thoughts are. They are always more than happy to discuss with me what their thoughts are as well as any changes they are making in their portfolios. While I’m out and about I can confidently convey this information to clients and answer their questions, the PMs are then freed up to spend time in the office doing what they should be doing which is managing the investments and delivering the best outcomes they can for our clients. What challenges does your role bring you? Investment markets never stand still so keeping on top of what is going on involves a great deal of reading as well as discussion with the portfolio managers. I need to know about everything that’s happening in the markets, be it macro events or stock news or up to date knowledge of how we are positioning our portfolios. Although this can be challenging with me dealing with such a range of strategies, it means that when I am in front of a client I can also talk about our broader range of funds. What time does your day end? No day is the same! Changes in the macro environment, stock market corrections or challenging fund performance can drastically alter the direction of my day. In such situations, I tend to receive significantly more client enquiries via the sales team and it’s important to respond quickly to these. I can finish up any time between 6pm and 11pm, depending on the challenges that arise. Weekends are precious to me and my family as it’s an opportunity to spend quality time together away (as much as possible) from the distractions of email and at the end of a jam – packed week. To summarise, what do you need people to understand and about your role? The role of an investment specialist is essentially to be the link between distribution and investment. We are an alternative to a Portfolio Manager and know, in detail, about a broad range of strategies. 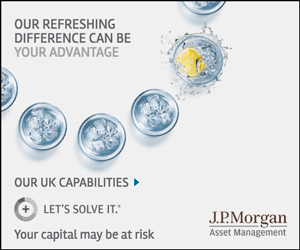 When we sit in front of clients, we can provide the views of our desk on the UK equity market and demonstrate our capabilities in UK Equities across the broad range of funds we manage.